Shabbona Lakeside Bait, Tackle and Boat Rental has been in business since 1998 on the beautiful shores of Shabona Lake. We offer a full line of fishing tackle and bait. Our boat rental fleet is second to none. We have something for everyone!! 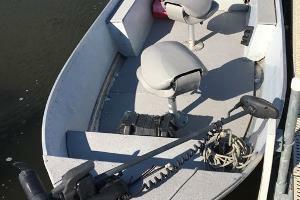 Want the features of a bass boat, but the capacity of a pontoon? Here is your dream fishing boat. Enjoy the day in comfort! 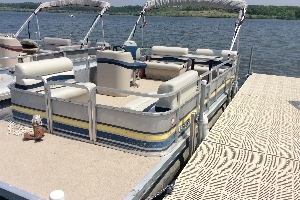 Our largest pontoon can fit up to 11 passengers or 1465 pounds, whichever comes first. Enjoy a great day on the lake with family and friends. Enjoy the day in comfort! 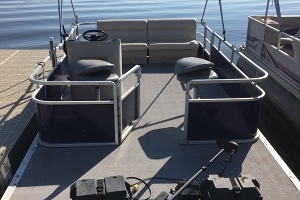 This Pontoon can fit up to 10 passengers or 1450 pounds, whichever comes first. Enjoy a great day on the lake with family and friends. Enjoy the day in comfort! 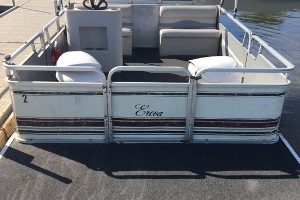 This Pontoon can fit up to 9 passengers or 1350 pounds, whichever comes first. Enjoy a great day on the lake with family and friends. Enjoy the day in comfort! 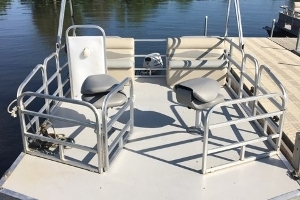 This Pontoon can fit up to 8 passengers or 1200 pounds, whichever comes first. Enjoy a great day on the lake with family and friends. Enjoy the day in comfort! 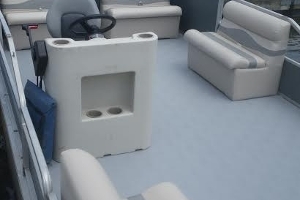 This Pontoon can fit up to 6 passengers or 900 pounds, whichever comes first. Enjoy a great day on the lake with family and friends. Enjoy the day in comfort! 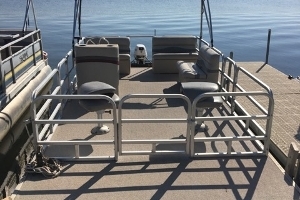 This Pontoon can fit up to 4 passengers or 750 pounds, whichever comes first. Enjoy a great day on the lake with family and friends. 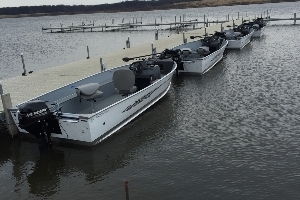 Shabbona Lakeside's ultimate fishing machine. 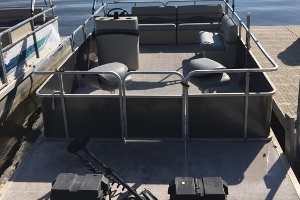 This 2016 Lund Fury 1600 SS The bass boat is equipped with flat floors, 2 padded seats, gasoline outboard, electric trolling motor, depth finder, and live well. Shabbona Lakesides ultimate fishing machine. 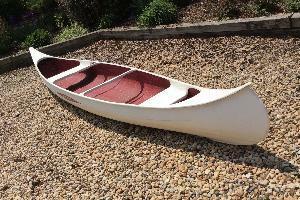 This14 deep V boat can hold up to 3 people or 500 pounds which ever comes first. 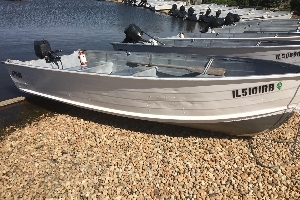 Shabbona Lakesides basic fishing boat includes a14' Deep V Boat with 3 bench seats, 6 HP outboard, 2 oars, fire extinguisher, gas tank and gas included. Have a boat but no motor or a motor that is too big for Shabbona? 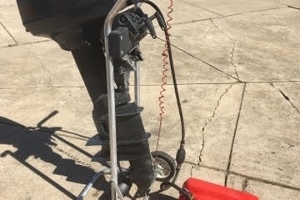 We have your solution, rent a 6 HP kicker motor for the day and the gas and gas tank are included. Do you have your own electric or outboard motor? Bring it to Shabbona Lake and rent the row boat. 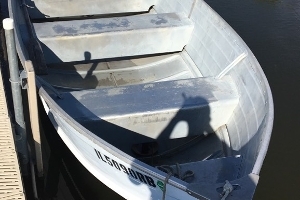 Rental includes a 14 Deep V Boat with 3 bench seats, life jackets and 2 oars. 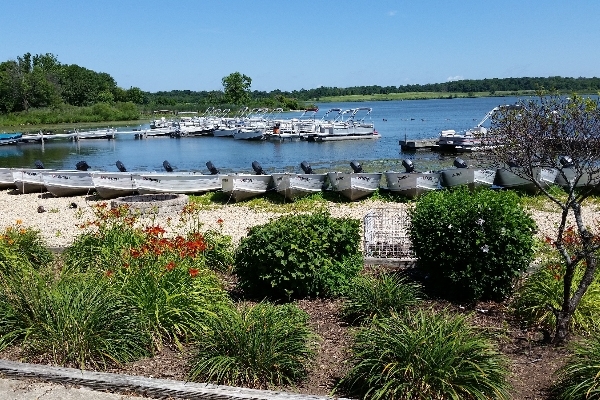 Enjoy beautiful Shabbona Lake on a paddle boat. The paddle boats will fit up to 4 people or 700 pounds whichever comes first. 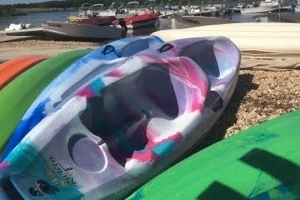 Rent a kayak to enjoy beautiful Shabbona Lake. Capacity 2 person or 450 pounds. 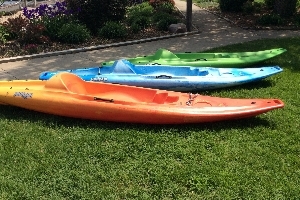 Rent a kayak to enjoy beautiful Shabbona Lake. Capacity 1 person or 250 pounds. Enjoy Shabbona Lake in a unique fun way. 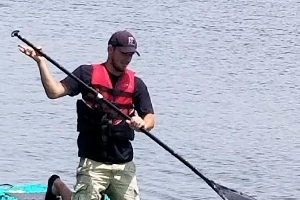 These paddle boards are extremely stable and you can even fish off them. These boards ideal for first timers and experienced SUP riders. Enjoy beautiful Shabbona Lake on a canoe. Capacity 2 people or 400 pounds. 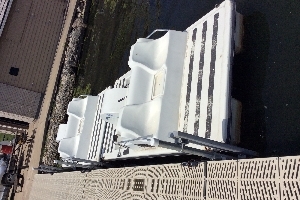 (1) Due to insurance restrictions no kids under the age of two will be allowed on the boat. reserved time. No exceptions. Please call if you are running late. Lakeside will hold the reservation for your allotted time. If there are no reservations following your reservation we may be able to push back your end time. 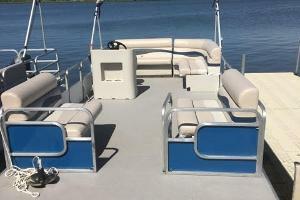 If there is a reservation immediately following yours, you still have the boat up until your original end time, but still must pay full rental fee. If you are late with no phone call to confirm you are still coming, Lakeside will then cancel the reservation and rent the pontoon or boat to the next available customer. (4) Cancellation Policy: Cancellations must be made 24 hours in advance. If your reservation is not cancelled 24 hours in advance you will be charged for your rental time whether you use it or not; but you may use the payment for a future boat rental in 2018.